The course at Kirkwood Ski Resort is closed until further notice. It was Lake Tahoe's premier zip line canopy tour with multiple zip lines and sky bridges as well as breathtaking views of the Sierras as you sail from 200 – 600 feet across and upwards of 75 feet above the ground. However, due to circumstances beyond our control, the State of California imposed, without notice or grace period, new zipline regulations in August of 2013. 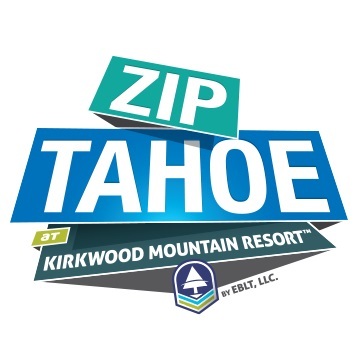 With a forced shutdown while the state determines how to regulate ziplines and to what codes, Zip Tahoe was forced to refund tours and spend the winter months in limbo. While we have an engineered course plans, proper tree inspections, and adhere to the ANSI/PRCA American National Safety Standards, the state, which has allowed us to operate without incident for the past three years under our current Conditional Use Permit, changed its mind, shutting us down on a verbal phone call, followed by a e-mailed letter. The State issued a letter on October 30, 2013 shutting down ziplines and outlining new regulation parameters. This was done without following due process and our petition to have the Oct 30, 2013 regulation letter voided was successful. The state then issued a second letter on Jan 21, 2014 which outlined new harness requirements and referenced the now voided Oct 30 letter. We placed petition against the Jan 21, 2014 on the same issues, yet the Jan 21 letter was upheld. While our parent company has experienced over 4 million successful zip experiences on all EBL installed courses in South Korea, Canada, and the United States, California does not appear to take this into consideration while they shut down this particular EBL location and our Zip Yosemite location. From our position, we seem to have an ANSI/PRCA American National Safety Standard for ziplines which the state of California appears to be ignoring, imposing older versions of ASTM standards when the current 2012 versions state variances and exemptions for zipline tours for education, self-improvement or team building, and still remains uncertain as to how to inspect courses and to what regulations. Combine this with letters referencing voided letters and you can begin to understand our frustrations. We have shared our thoughts with the State in no uncertain terms. Contact EBL for specific questions about Zip Tahoe. © 2019 EBL Zipline Tours. All rights reserved.